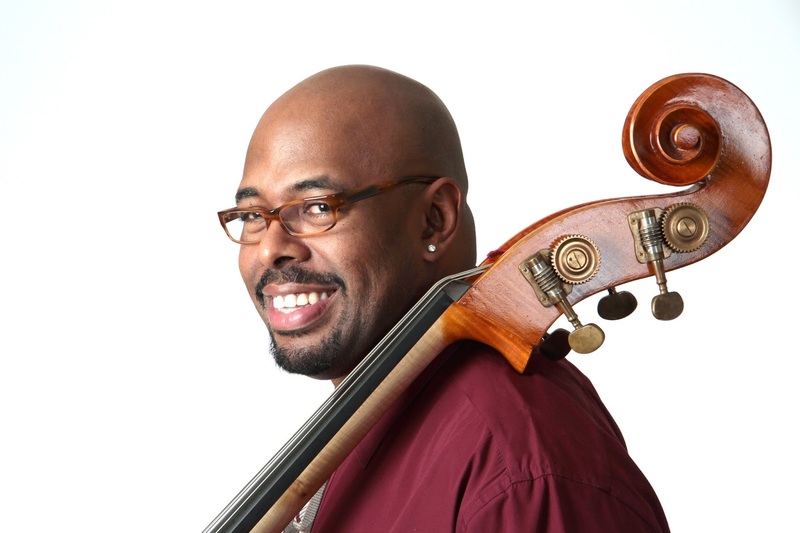 Forty-four-year-old bass virtuoso Christian McBride was born in the musical city of Philadelphia back in 1972. It didn’t hurt his musical education to have a father, Lee Smith and a great uncle Howard Cooper who both played bass professionally and he acknowledges them as early influences. 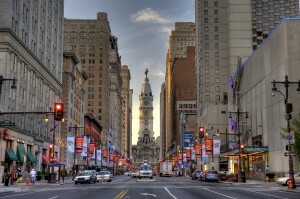 In many respects the sounds of the City of Philadelphia was another subliminal McBride influence. The City has a history of the musical tradition. It was a multi-ethnic training ground for early jazz artists like guitarist Eddie Lang and violinist Joe Venuti. Local singing star Ethel Waters was one of the first black female jazz artists to record on Harlem based Black Swan Records. The stable of jazz artists that hail from Philly is a Who’s Who of American jazz – Jimmy, Percy and Albert “Tootie” Health, McCoy Tyner, Clifford Brown, Hank Mobley, Stan Getz, Jimmy Smith, Bobby Timmons, Lee Morgan and of course “Philly” Joe Jones to name a few. The tradition is being carried on by the next generation; musicians like Orrin Evans, Stanley Clarke, Uri Caine, Terrell Stafford and of course Christian McBride all hail from the City of Brotherly Love. Jazz wasn’t McBride’s only influence, just as jazz isn’t Philly’s only music. There was gospel like the Mighty Clouds of Joy. There was the R & B and soul music of the Delphonics, the Stylistics, Teddy Pendergrass, The O’Jays, Harold Melvin and the Bluenotes. There was even the more blue-eyed, rock and roll soul of the popular Hall and Oates. Let’s not forget the airwaves. McBride grew up in a generation where the funkmaster bassists like Larry Graham of Sly Stone’s Band and Bootsie Collins with James Brown and George Clinton all made their imprint. Seeing the Philadelphia Symphony Orchestra with Yo Yo Mah made for a lasting memory. These disparate sources of musical inspiration all formed the musical psyche of Christian McBride. Through hard work and an incredible facility, he has been able to incorporate the whole spectrum of these flavors into his own unique approach to the bass, and in the process, he has attracted a legion of followers that anxiously await his next musical move. 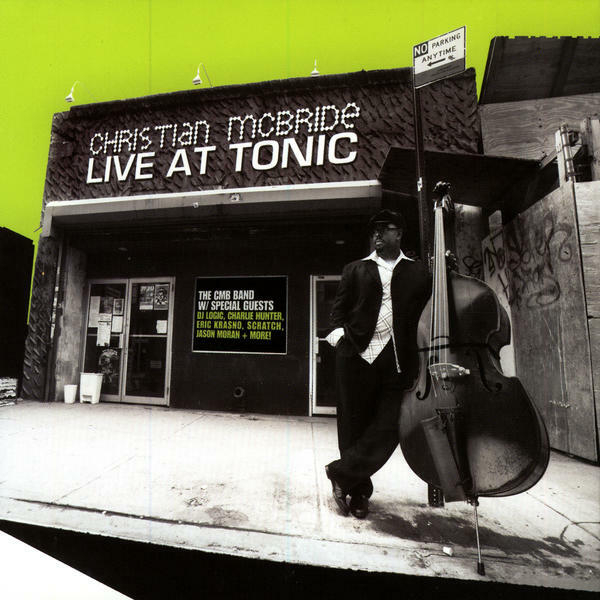 Currently McBride is perhaps the busiest man in jazz. The five time Grammy award winning bassist hosts and produces a NPR/WBGO/JALC sponsored weekly nationally syndicated radio show on Sirius XM radio’s “Jazz Night in America” called “The Low Down: Conversations with Christian.” He is the artistic advisor for the jazz programming at the New Jersey Performing Arts Center (NJPAC.) 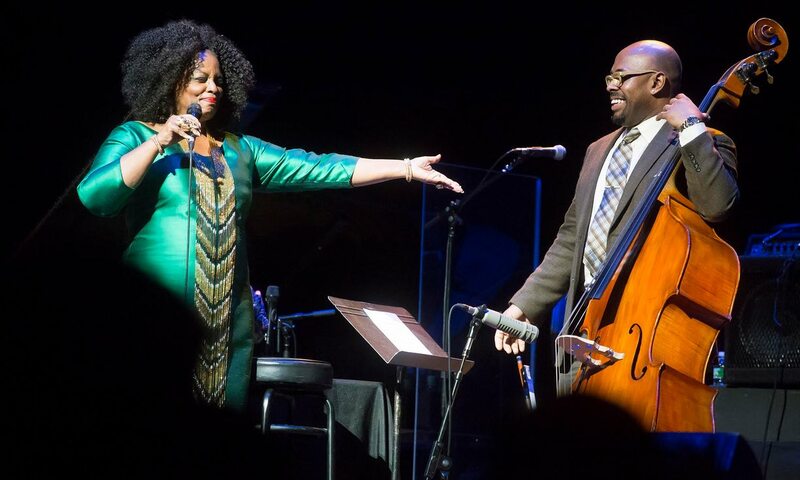 and has been creatively associated with Jazz Snowmass in Aspen, the National Jazz Museum in Harlem, The Newport Jazz Festival and for Jazz at the Los Angeles Philharmonic program. With all these commitments, it is a wonder he still has time to create and perform music. 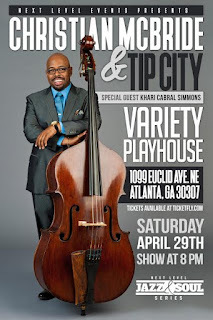 He is the leader of four distinct groups, his newest trio Tip City, his quintet Inside Straight, his 18 piece Christian Mc Bride Big Band, an experimental group called A Christian McBride Situation and his quartet New Jawn. McBride’s Tip City will be at Atanta’s Variety Playhouse on April 29, 2017 and features the young pianist Emmett Cohen and the guitarist Dan Wilson. Notes on Jazz caught up to McBride via telephone on April 11, 2017. NOJ: I am a big fan of your music probably since the late nineteen nineties. It is a daunting task to interview you. I must have gone through- either read or listened to- close to twenty interviews you had and it’s difficult to come up with questions that you haven’t already answered a hundred times. So I’ll try not to repeat what is already on record. You hail from Philadelphia. We know your father and great uncle played bass and were influences. But there is a deep, across the spectrum wealth Classical, to jazz, to Reggae, to Soul, Rock and R & B and into Hip Hop that make up the Philly Musical experience. Can you share some of your growing up musical experience that are pure Philly? CMB: When I think of my live musical experiences, that make me think of pure Philadelphia, I actually think of venues as opposed to the actual musicians. My uncle, Tony McBride, he used to be a promotions man at WHAT radio, which was one of two black radio stations in Philly. So he took me to every show that came through. From the time, I was maybe four years old, so my mother tells me, I was going with them to see Marvin Gaye, Gladys Knight or whoever it was. I remember the venues. We went to the Academy of Music quite a bit. I saw Smokey Robinson there, Wilson Pickett there and of course I saw James Brown there and that just changed my life forever. We went to the Robin Hood Dell quite a bit. There used to be an annual festival called the Gospell-rama and I saw the Mighty Clouds of Joy there. I saw Albertina Walker. Then there was the Valley Forge Music Fair which was a theater in the round. That place was legendary, I am sorry to see it go. It closed many, many years ago. NOJ: Those experiences are impressionable for a young person growing up. CMB: Yeah. I saw a lot of R & B and Gospel shows growing up. I saw the Philadelphia Orchestra when I was eleven years old. Our string teacher took a bunch of us down on the trolley. I’ll never forget that. It was just wonderful that we had a teacher that would actually take a group of us on public transportation to go see the Philadelphia Orchestra. Yo Yo Mah was the guest soloist and he played the Haydn Cello concerto in D. That it one of my most vivid memories of seeing live music. CMB: I can still remember the piece. NOJ: So you went to Julliard after attending school in Philadelphia? CMB: Yes. I only stayed for one year. I started to work pretty quickly after I started school. School started in the beginning of September and I started working with Bobby Watson’s group maybe two weeks later. I wasn’t going on the road, I was just making local gigs with him. It became evident by the end of the school year, that I wasn’t going to be able to keep a good balance of school and professional work. So, I had a long talk with my mother and she said I trust you. NOJ: Did you take private lessons while you were playing professionally after school? CMB: Well no, I did not take any private lessons after I left Julliard. Any lessons I did take were impromptu. CMB: I first started working with Pat in 1993. When Joshua Redman’s first solo release came out. It is a little confusing, because Joshua Redman recorded his first two cds at the same time. They kind of staggered the release dates. The self titled cd Joshua Redman came out first and then less than a year later Wish came out with Pat, Charlie Haden and Billy Higgins. When it was time for Joshua to go on the road and promote that album- now you talk about one of the greatest gifts someone could give you- Pat Metheny basically said Josh I’ll lease you my crew, my booking agency and I’ll come on the road as your guest to promote your record. CMB: Yeah, but Charlie Haden couldn’t go on the tour so they called me. 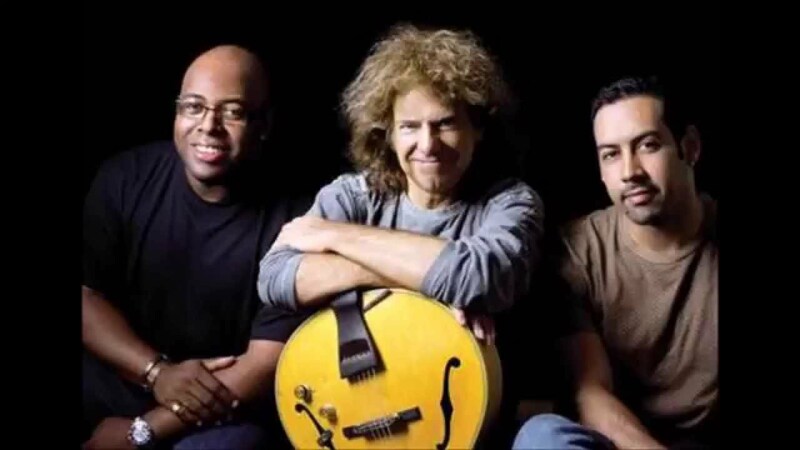 The minute we finished all the US tour dates under Joshua’s name, the band just reverted back to Pat Metheny’s. 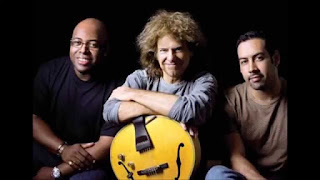 It was the same exact band except he now called it the Pat Metheny’s Special Quartet. That was me, Billy Higgins and Joshua Redman with Pat. After that I stayed in close touch with Pat. I played with him sporadically, you know a gig here and there. Then he started the trio with me and Antonio exactly ten years later in 2003. NOJ: That’s when I saw you. You guys were amazing. CMB: Thank you, man. That trio stayed together, we played a good six years of gigs maybe even seven. NOJ: Pat is obviously a virtuoso on his instrument, but he has turned out to be a pretty durable composer also. What did you take away from playing with such a creative force as Pat for all these years? (to Chick),if you think of the body of work that Chick has created over all these years. Certainly, Pat is no slouch. I love the fact that he is always challenging himself. He is always coming up with new groups to play with and he is always coming up with new music for those groups. I think that is admirable. NOJ: I have the album Live at Tonic from 2006. That was a phenomenal, jazz/funk/fusion group and featured some of my favorite musicians including keyboardist Geoff Keezer, saxophonist Ron Blake and one of our local Atlanta homies, badass Terreon Gully on drums. What was the genesis of that group? CMB: Around 2000, I didn’t really know where I was as a band leader. My first quartet, which I went on the road with after Gettin’ to It , my debut album, came out in 1995. I had Tim Warfield on tenor saxophone. I had a couple of different pianists. I had Anthony Wonsey, I had Joey Calderazzo, Charles Craig, Shedrick Mitchell, but Tim Warfield was always my guy. My drummers were Carl Allen, Gregory Hutchinson and Rodney Green. Between 1995 and 1999 my quartets revolved around those particular players. Tim Warfield left to go with Nicholas Payton’s group. All the rhythm section guys, by that time, had different gigs. Joey Calderazzo went to work with Branford Marsalis and Greg Hutchinson went to work with Joshua Redman and so I was kind of juggling and struggling to find guys that could simply make the gig. "I decided, what music was I thinking of doing? And what musicians would be best suited to play that music? For me it all starts with the drummer." The kind of music which I wanted to play, was a hybrid of straight ahead jazz, a little funk, avant garde you know a little bit of everything. Whose is my prototype of a drummer for music like that. The answer, for me was Jeff ‘Tain Watts. I said let me call ‘Tain and ask him for a recommendation, because I know he’s not going to do it, and I wasn’t going to ask him. He is one of my big brothers, I wouldn’t ask him to join my band. I said ,“‘Tain whose is the little you? I need somebody that plays like you basically.” He said you should hear this guy, he’s been playing with Diane Reeves, he’s a bad dude. His name is Terreon Gulley. I pretty much hired him sight unseen just because of the recommendation from ‘Tain. We met and we played together and I fell in love with him. The hard part was the piano chair. I wanted somebody that loved Joe Zawinul and Keith Emerson just as much as Art Tatum and Oscar Peterson. I though man there really isn’t anybody who can do all that. Only person I could think of was Geoff Keezer. I knew he was playing with Ray Brown. Geoff is somebody I ‘ve know since Julliard, he is dear friend of mine. We all are from the same generation and we all played the same gigs when we moved to New York. After playing with Art Blakey and playing with Ray Brown, I thought, man this is going to be a significant step down in his career, asking him to join my group. But I have to ask him because he is the only person I can think of. I talked to Keezer and he said I’m not working with anybody right now so I would be honored to be in your band. That was the nucleus of putting that group together. When Tim Warfield left to go to play with Nicholas, the other saxophonist that I loved working with was Ron Blake. Ron was just finishing working with Roy Hargrove and so he was available. Before I knew it I had a brand new working band. It was tight, everybody liked each other, and we stayed together for eight years. We made the Live at Tonic record and we made the Vertical Vision record. Funny how things work out. The Live at Tonic album was supposed to be my second Warner Brothers release and it was going to be Live at Yoshi’s. But I’m glad it worked out, in terms of what that band did, Tonic was the more appropriate place. NOJ: It was a hipper place for sure. CMB: Andy Hurwitz from Rope a Dope records said let’s blow it out and invite some special guests. I called up my buddies DJ Logic, Charlie Hunter and Eric Krasno and those were two memorable, memorable nights of music. NOJ: Have you ever considered getting that band back together, just for the hell of it? CMB: Oh yeah. At some point, we will get back together. It’s kind of hard though. The main reason that band broke up was Ron took the job with the Saturday Night Live Band, and that pretty much jams up his Friday and Saturday to work with anyone else but NBC. It’s kind of hard to have a band when one of your main guys can’t work on Friday and Saturdays. Then Geoff Keezer got married and moved to San Diego. Terreon got married and moved to Atlanta. I said oh man, everyone’s leaving me. ut it worked out, because I think between 2000 and 2008 when that happened, I had that band which we called the CMB band. I was working with Pat’s trio and touring with Sting. There hadn’t been at particular band that I played in that was all acoustic, straight ahead. Kind of what I did when I first moved to town and I missed that. I thought maybe this is a sign that I should try another project and that became Inside Straight. NOJ: Yeah with Steve Wilson, great player. It is well documented that Ray Brown was a primary musical influence and a father figure to you. You have his bass, the good one, as I understand it. CMB: ( Laughing) John Clayton has a good one. We each have a good one. 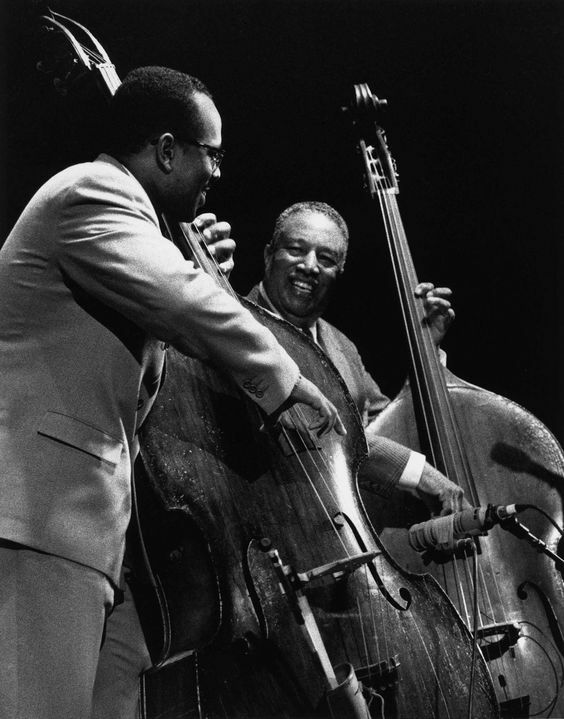 NOJ: If you were teaching a young student the bass today, what would you tell him to look for in Ray Brown’s playing that is so important to absorb? CMB: The feel. The feel and the clarity. As a bassist, particularly an acoustic bassist, I am a stickler for clarity. The bass is a very hard instrument to play with clarity, just because the frequency of the instrument. Especially in jazz. It’s easy to play out of tune and kind of slip under the radar to the ear. Sometimes notes will run into each other. When there’s drums going and piano going and saxophone going, a lot of what the bass does gets lost. You can still feel the bass but you can’t always hear details of that particular player is playing. NOJ : So Ray’s clarity is what is really important? CMB: Yeah. When I listen to Ray Brown playing I hear every single note clear as a bell and they are always in tune, which lets me know his focus never wanes. That’s the first thing I would tell my students. NOJ: I want to continue that thread and name a few bass players and get your response. What would teach a student was the most important stylistic feature of the playing of a Bootsie Collins or Larry Graham? CMB: I would kind of hold off on talking about them to students. To me, Bootsy and Larry Graham were the innovators of the electric bass. I would make sure that my students would understand something a little more simple and basic before I would get them to Boosty and Larry Graham. 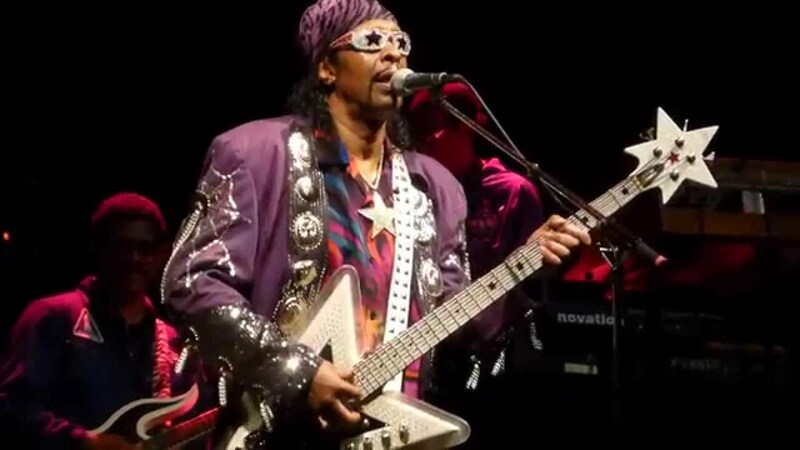 The story goes, which is true, that the whole time Bootsy was in James Brown’s band, James Brown was always trying to get him to play simpler. He’d say “Bootsy these bass lines that you’re playing are too busy, they move around too much, I just need something simple and in the pocket.” Boostsy would say “yes sir Mr. Brown” and come up with this complicated but funky bassline, and James Brown would just shake his head. It just meant that Boosty’s talent was so big, not even James Brown could hold him down. As hard as he tried. I would just tell a student to try to pay attention to the simplicity. The same is true when listening to Ray Brown, because although Ray Brown was a virtuoso, your prime directive as a bassist is to be the best supporting instrument you can be. Play simple and always pay attention to the groove. NOJ: How about Paul Chambers or Scott LaFaro? CMB: I think they all have the same qualities that I love in Ray Brown. Paul Chambers had a more relaxed beat than Ray Brown. Ray Brown was always pushing and I kind of like that personally. He always kind of had his foot a little bit on the gas pedal, whereas Paul Chambers was on cruise control, you know what I mean.? You could set the tempo and he just laid there and the groove was so, so good. He was just as much of a virtuoso as Ray Brown. Had just as big a sound as Ray Brown, his note choices were just as clear as Ray Brown. I think the only difference between the two of them was their beat. Ray was a little more forceful and ahead and Paul Chambers was more right in the middle. Scott LaFaro, well we all know what his contributions were to the acoustic bass in terms of being a more interactive player, as opposed to just simply being a four to the bar kind of player. Of course, he could do that too. 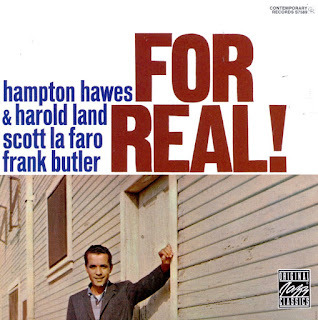 If you listen to very early Scott La Faro recordings, particularly what he did with Hampton Hawes. 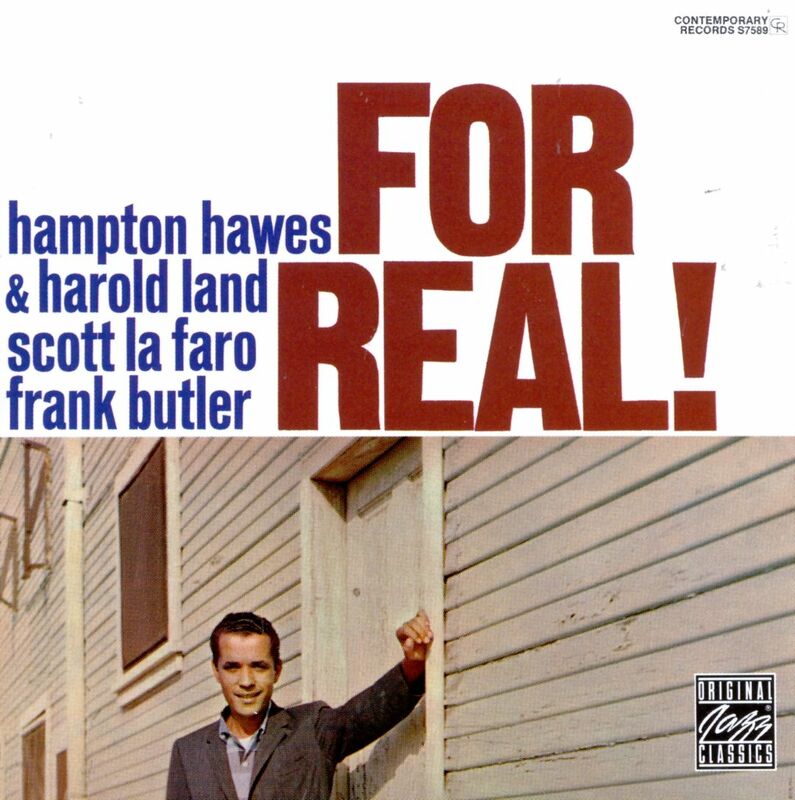 The album with Harold Land and Frank Butler, For Real it’s called. He sounds like Ray Brown. Also on Introducing the Victor Feldman Trio with Victor Feldman on piano, Scott LaFaro on bass and Stan Levey on drums. NOJ: With all the many hats that you wear, you have a very serious, kickass big band, which I saw one year at The Caramoor Jazz Festival in 2011. You have written for this band as well as for other large ensembles. Most modern big band arrangers like Maria Schneider, Ryan Truesdell, Bob Mintzer or James D’Arcy Argue all have been under the tutelage of a former master arranger like Gil Evans, Gerald Wilson or Bob Brookmeyer. Who do you consider your mentor when it comes to arranging for a multi-piece ensemble and how did it start for you? MCB: A lot of people. I think I have gotten a lot of help from everybody that has written for a big band. I’ve spent a lot of time with Jimmy Heath. My big brother John Clayton is one of my biggest heroes. I’ve spent time with Maria, picking her brain about certain things. I love Maria so much because she has a lot of her own great ideas, but also she studied under Gil Evans. She would tell me somethings that Gil told her. "You almost physically feel your body change when someone gives you some useful information that you know is going to help you." Maria and John and the great Patrick Williams, Johnny Mandell and Lalo Schifrin, who I’ve been on the road with many times with his Jazz meets the Orchestra projects. I’ve spent a great deal of time with many great arrangers.Yeah. NOJ: So you have absorbed all these ideas of different arrangers from your experiences with them? NOJ: Any arranger that you are particularly fond of? CMB: There is Ellington of course, he goes without saying. But I think the first arranger that I really started to pay attention to was Oliver Nelson. NOJ: I saw your trio with Christian Sands and Ulysses S. Owens Jr. at a small supper club called Alvin & Friends in New Rochelle, NY back in June of 2014. You were a bit under the weather that night, but somehow you rose to the occasion and that trio was simply mind blowing. What do you have in store for that trio? CMB: That was a good show, I remember that. That trio is sort of officially non-existent at the moment. Christian is about to embark on his own solo tour. I am extremely happy for him, he wound up signing a solo deal at Mack Avenue records. His new cd will be released in two weeks in fact. He’s going on the road this year with his own group. I’m just happy to be a part of that young man’s life, because he is a very special guy. NOJ: The Sands, that’s quite a family. I saw him in New Haven and I think he has a brother who is a helluva drummer. CMB: That’s right, a younger brother Ryan, who plays drums. The family unit is a tight unit. Ulysses is doing quite a number of different projects with a lot of different people so I don’t know when that trio will ever get back together again. I already know that Christian will be one of those people who will never be out of my life. Even when Oscar Peterson and Ray Brown no longer played together in an actual trio they still played together all the time in various All Star projects and things like that. I see Christian and I doing that. NOJ: You’ve won five Grammies and been on over 300 hundred recordings as a sideman, thirteen recordings as a leader. What’s missing for you musically? What do you feel you haven’t yet accomplished as a musician? CMB: I hope one day to be able to…I feel like I am always composing on the fly. I haven’t really had a chance to sit down and actually focus on writing music that I would like to write for me. I’ve been doing a lot of commercial writing, in terms of like there is a big engagement coming up at NJPAC or Jazz Museum of Harlem or Jazz House Kids and I have to get some arrangements for specific events. In terms of my own groups, I’d like to maybe once a year go on a writing retreat. I actually spoke to Metheny about that. He said, even when he’s off the road and at home, he can’t write at home, because he has got kids and there is too much going on in his home to concentrate and write. Pat takes a moment where he gets away to his second place and gets to write. I talked to JJ Johnson’s wife and she said JJ used to do that too. I need to go somewhere for like a week and just bang out some new music. I would like to do that one day. NOJ: They do have artist’s colonies where they allow and subsidized artists of worth who need a place of quiet to work. I know there is one in Connecticut and one in Vermont. CMB: Yeah. Melissa and I took a vacation on Vancouver Island and the place we stayed, it was beautiful. They call it a Bed and Breakfast, but it was huge. They had a grand piano in middle of the lobby and I thought oh man this is perfect. The perfect atmosphere for me to sit down and write some music. But, you know, I couldn’t use our vacation as a writing retreat. That wouldn’t be fair to Melissa. NOJ: That would put you in hot water pretty quickly, I think. NOJ: You have played bass behind singers like Diana Krall, Queen Latitfah, Sting and I actually got to see you play with Dianne Reeves a couple of years back. How is it different from playing without a singer and is it a format that you like? CMB: I love playing with great singers. Playing with Dianne is no different than playing with a great instrumentalist. For me Dianne is sort of like the greatest living jazz vocalist. Everything she does is awe inspiring. She is very musical. Diana Krall, we both come from the same Ray Brown School. Dee Dee Bridgewater, not only is she a great singer, but she is also one of the great performers I’ve been on stage with. It can get distracting watching her. She’s so bad, she is so badass that I sometimes almost forget it’s my cue. Cyrille Aimee, that young lady is killing it. I love working with her. Man, there are too many people I can name. NOJ: Speaking of vocalists, I did a recent interview with the fine vocalist Jose James and he told me he was trying to get you to do a record with him in the near future. If Jose is reading this, is that something we can expect? CMB: That’s my man too. Yes. We have worked quite a bit in the past and I love working with Jose. I’ve always felt there hasn’t nearly been as many male vocalists that we’ve been excited about as there have been female vocalists. I have been thinking where are all the guys? All the guys that are really kind out there doing it, they all eventually just start to sing R & B. Or they kind of go for some sort of hybrid, which is cool, but I miss somebody like a Joe Williams or…. NOJ: But even Jose is trying to break out of that jazz crooner pigeonhole. His new album is much more R& B and neo soul. CMB: Even though Jose is not wedded to straight ahead jazz, he can do it so well. It is a pleasure to see a guy with so much diversity. Jose and I have a couple of things possibly in the pipeline. We just have to figure out the when, that’s always the hardest part. Jose is one of my favorite musicians in the world. That’s a guy who can go a lot of different ways. I mentioned how I miss the guys, I don’t see a lot of guys out there singing a lot of jazz. I wrote some big band arrangements for him a couple of years ago, we did a thing at NJPA, and he sang my arrangement of “Moanin’”and oh man he killed it. NOJ: He had a great album with that Billie Holiday material. When we spoke, he indicated it was a sort of pinnacle for him in the jazz genre. CMB: Yes, he did. Man, I was so proud of him when he did that record. That was an amazing project. NOJ: On a philosophical note, you seem very driven, what could you see yourself dedicating the rest of your life to if for some reason you couldn’t play music again? CMB: Sleep. (Laughs) No education. "I think it’s important to share your knowledge." It weirds me out when I meet people who are tight with their information. I know some musicians who don’t want to impart some of the wisdom that they have gotten from older musicians, because they think that someone may take it and it will no longer be special to them specifically anymore if they share it. If I tell you a story or share something with you that Ray Brown told me, then 'am going to be afraid that you’ll take that story and try to make it yours? To me that is sort of selfish. If I couldn’t play music anymore, then I would dedicate my life to of these young musicians that are coming up. More than I do now. NOJ: You’ll be playing with your group Tip City here in Atlanta on April 29, 2017. What do you like or don’t like about playing in Falcon, Braves and Hawks territory? MCB: (Laughing.) There is nothing that I don’t like about playing in Hawk or Braves land. I hate to see the Braves going through such hard times, but you guys have had such a long run, so maybe I really don’t feel so bad for you. I know a lot of people in Atlanta, a lot of musicians and I don’t feel like a stranger there. NOJ: Tell us about Tip City, who is in that band and what we can expect at the concert. CMB: There is young pianist by the name of Emmett Cohen and the guitarist is Dan Wilson, he plays with Joey DeFrancesco quite a bit. I’m looking forward to working on this new project. A group that is nothing like my previous trio, but also nothing like my New Jawn project either. I like to stay as fresh as possible. NOJ: What do you expect these young musicians will bring to the table? CMB: The first time I played with Dan Wilson, he knocked me out. He comes form that lineage of George Benson, Pat Martino, Kenny Burrell school. He’s got such great technique with great ideas and he swings real hard. Emmett Cohen I sort of watched grow up. He is from the Montclair area and was one of the students that we had at Jazz House Kids. This will be sort of like a good hometown story. NOJ: I know you are also very involved in your home community of Montclair, New Jersey, where your wife Melissa founded Jazz House Kids, a nationally recognized community based arts organization. Tell us about what you guys do there and how this started? CMB: She started this fifteen years ago because most of these school, not just in New Jersey, but nationwide, were getting rid of their music programs. She was getting hired to put together musicians to come into public schools in Newark to do some music programs. She realized she should her own organization to put bands together to come into these schools. Next thing she knows Jazz House Kids turns out to be a big hit. NOJ: That’s very commendable. It’s what we need more of now-a-days as it is clear that the present political climate is not too favorable to promoting the arts in our public education system. CMB: Between grants and private donations, we are able to keep this thing going qand we serve over a thousand kids in the State of New Jersey during the school year. We have up to two hundred and fifty students come to our summer program. It’s been real fulfilling to watch some of these young people to get to express themselves. 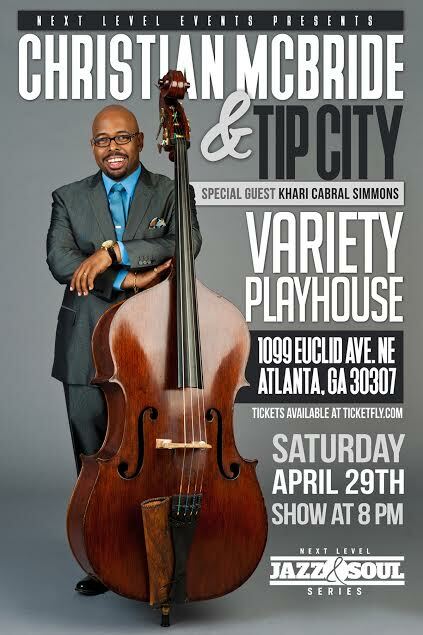 NOJ: Christian, I look forward to seeing you and Tip City at the Variety on Saturday April 29th here in Atlanta and will continue to follow your multi-dimensional career, which I am sure will have a lot of surprises ahead. Thanks for spending the time with us.